June 22 / July 5. Hieromartyr Eusebius, Bishop of Samosota. Martyrs Galacteon, Juliana, and Satruninus of Constantinople. Martyrs Zeno and his servant Zenas of Philadelphia. St. Alban, Protomartyr of Britain. St. Anastasius the Serbian. (Greek Calendar: Martyr Pompian.) Repose of Righteous Mary the Cave-digger of White Mountain Monastery near Voronezh (1822) and of Schemamonk Theoktist of Valaam (1863). 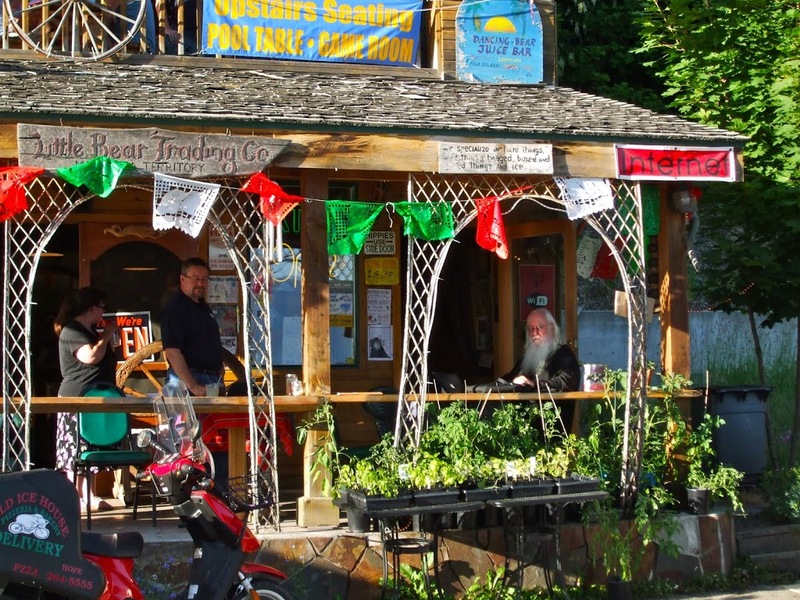 The only WiFi within some thirty miles is this little cafe, overlooking Lake Pend d’ Oreille, in the little village of Hope, Idaho. Thus, I’ve come here every morning and evening to prepare The Morning Offering, as well as to check my email. The view from here just doesn’t get any better! The lake is fifty-five miles long, 148 square miles, and 1,150 feet deep, making it one of the largest and deepest lakes in the country. It is so clean, many of the island folks pipe the water into their homes for drinking! I have been praying that Orthodoxy would come to Northern Idaho, for many years. My parents became Orthodox before they reposed, because of a mission parish founded in Couer d’ Alene, Idaho. Now I am praying the Church will next take root in Sandpoint, my home town. Thus, I will be giving a talk on Orthodoxy in a public building, tomorrow afternoon. Please pray that the Holy Spirit guide my words, and open the hearts of the people, that they be given eyes to see, and ears to hear. Please, in your prayers, remember especially my beloved brother, Dwayne, and my wonderful sister-in-law, Claudia, who live in Sandpoint, and are not yet Orthodox. 18 And having been set free from sin, you became slaves of righteousness. 19 I speak in human terms because of the weakness of your flesh. For just as you presented your members as slaves of uncleanness, and of lawlessness leading to more lawlessness, so now present your members as slaves of righteousness for holiness. 20 For when you were slaves of sin, you were free in regard to righteousness. 21 What fruit did you have then in the things of which you are now ashamed? For the end of those things is death. 22 But now having been set free from sin, and having become slaves of God, you have your fruit to holiness, and the end, everlasting life. 23 For the wages of sin is death, but the gift of God is eternal life in Christ Jesus our Lord. Dear Abbot, I discovered your blog a few weeks ago from a fellow blogging friend. 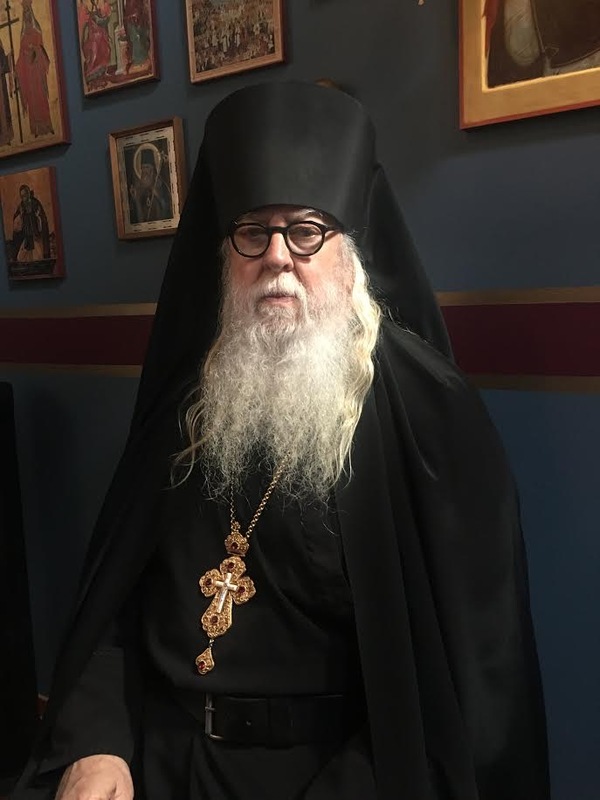 I will certainly remember you, and your talk about Orthodoxy, in my prayers today. I understand that desire to bring Orthodoxy to all our loved ones.